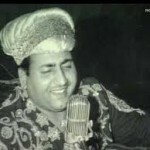 The viewers of bollywood films wish happy birthday to rock and roll star Shammi Kapoor on 21st October, 2011. He died this year making huge number of audience sad. He had remained a dancing sensation in the 60s. 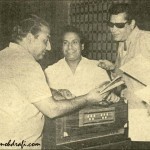 You are currently browsing the Rafians tribute to a true Maestro – Mohd Rafi weblog archives for November, 2011 .